Facebook has cooked up yet another way to keep you in touch with your friends. Drawing inspiration from the current crop of location-broadcasting apps already on the market, “Nearby Friends” is a new feature that shows when you are in close proximity to friends in the real world. In a blog post on the matter, Facebook product manager Andrea Vaccari is quick to highlight the feature’s opt-in nature. That is, you’ll have to enable it on your own which is no doubt a move to keep privacy advocates at bay. Specifically, the service lets you choose who can see if you’re nearby and you can turn it on or off at any time. Both you and your friend will have to have the service enabled and choose to share with each other for it to work. Once activated and in the area of a friend, you’ll receive a push notification alerting you of your friend's presence. It’s the first major feature to hit Facebook in more than a year. The social networking giant has been extremely busy as of late with the acquisition of Oculus and WhatsApp, not to mention the release of news reader app Paper. As such, they haven’t had a ton of time to focus on their core product. 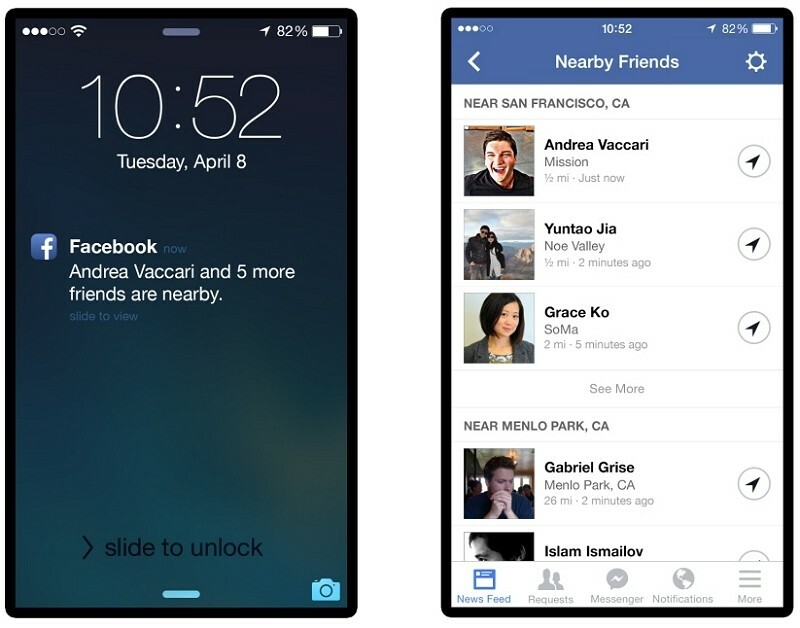 Nearby Friends is rolling out to both Android and iOS users on a staggered basis over the coming weeks. No word yet on when or if it’ll be heading to other platforms like Windows Phone.